Rubber band ligation, or hemorrhoid banding, is a procedure in which a gastroenterologist wraps a tight rubber band around a hemorrhoid. This cuts off the blood supply to the hemorrhoid, causing it to wither and fall off approximately one week later. People who have internal hemorrhoids that cause extreme distress (such as bleeding and itching). The procedure is successful approximately 80% of the time. 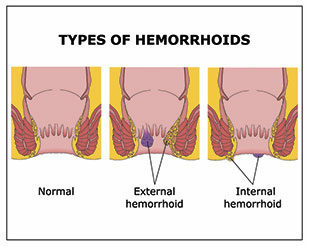 Individuals who have hemorrhoid banding usually don’t need additional treatment compared to other hemorrhoid solutions.